Explore websites, articles/publications, videos and action tools that relate to Family Engagement, supporting educators, parents, guardians and families of children with disabilities. For additional related resources visit the California Department of Education Special Education Family Involvement and Partnerships page. 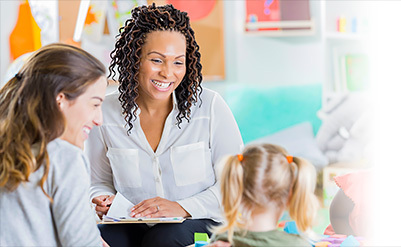 “Research indicates that families' involvement in children's learning and development impacts lifelong health, developmental, and academic outcomes… When families and the programs where children learn work together and support each other in their respective roles, children have more positive attitudes toward school, stay in school longer, have better attendance, and experience more school success."